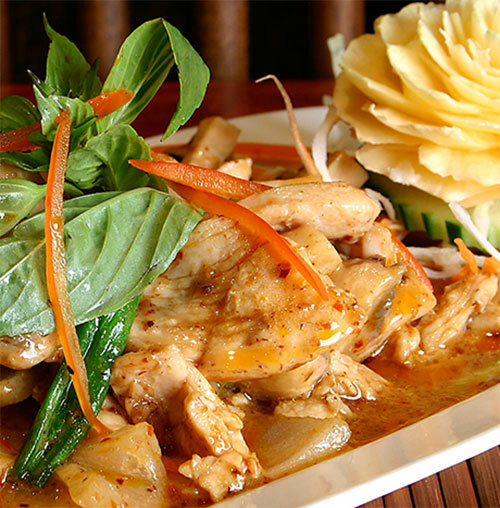 Few chefs in the country know Thai food like our Head Chef & Owner Ban Kaewkraikhot. She ran a successful restaurant in Bangkok for 8 years, before relocating to the UK to head up a well-known Yorkshire restaurant for a further 4 years. 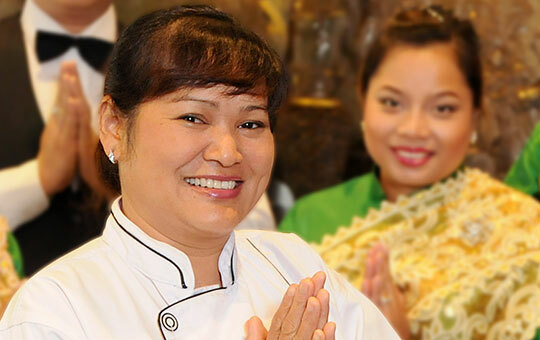 She opened the original restaurant in the heart of Chapel Allerton in 2002 and puts Sukhothai's success down to super-attentive service, an imaginative yet authentic menu and flying the most amazing, fresh Thai ingredients in to our kitchens every week. The answer lies just over 240 miles north of Bangkok and is the old capital of Thailand. 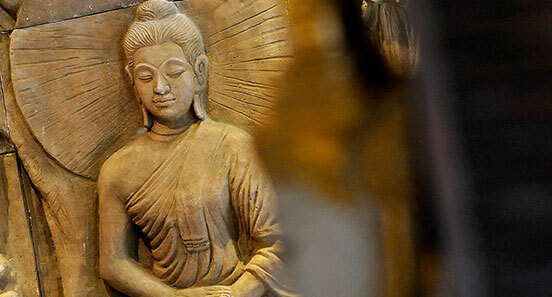 Sukhothai is Ban's birthplace and translates into English as "The Dawn of Happiness". I was brought up in a small village, just outside the city of Sukhothai! This is where I was taught to cook, by the best teacher in the world, my mother. During the day I'd help her in the fields growing vegetables, herbs and spices. Then I'd help her prepare and cook the evening meal. When I left home, I went to cook in the street markets of Bangkok, until I saved enough money to open my own restaurant. It was here I met lots of tourists from the UK, who said they'd love to eat authentic Thai food in the UK. A few years later I got a job as a chef in a busy restaurant in Leeds, where I worked really hard and saved money to open my own restaurant in 2002. I opened my first Sukhothai restaurant in Chapel Allerton in 2002. Over the next 14 years we’ve extended Chapel Allerton three times and opened new restaurants in Headingley, Harrogate and on South Parade in Leeds City Centre. What an incredible time it has been! My proudest moments include our inclusion in the Good Food Guide and The Sunday Times Food list, as well as cooking for BBC Masterchef’s Greg Wallace. I’d like to thank everyone who's visited Sukhothai over the years and to the local suppliers that have supported me. You've helped make my dream come true. 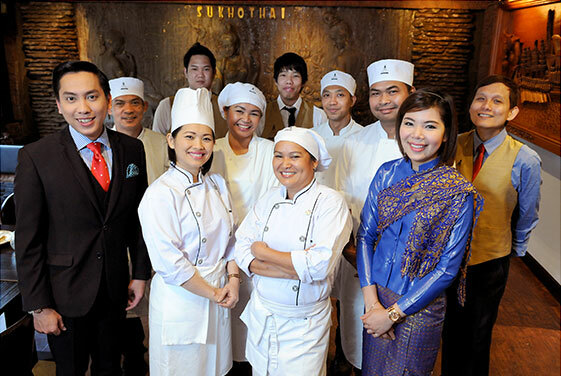 Sukhothai is very proud of its rave reviews and regular awards, we have consistently won ever since we opened. We've been a regular listing in the prestigious Good Food Guide and Harden's, plus we've received recognition in The Times and Sunday Times and recognised locally by the Yorkshire Evening Post’s Oliver Awards. Featured in The Good Food Guide. Listed in the Sunday Times top 130 British Restaurants under £50 – the only restaurant in Leeds to be listed. Listed in Harden's Restaurant Guide. A brand new Sukhothai comes to South Parade, in Leeds City Centre. Leeds Restaurant Awards. Nominated in 9 categories, winners in 2. The F Word. Shortlisted as one of 10 best Thai restaurants in the UK. 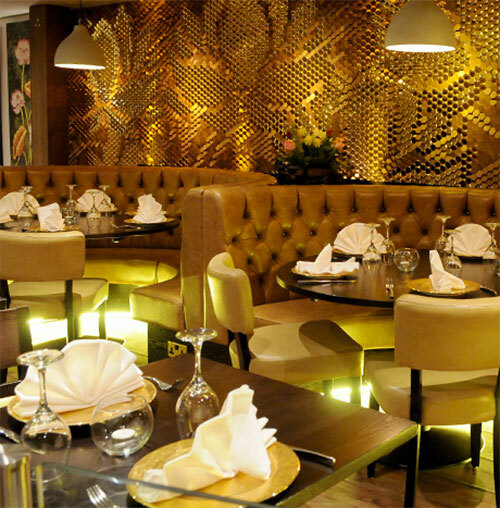 The third Sukhothai restaurant opens in Harrogate. Listed in The Times as one of top 10 Thai restaurants in the UK. Leeds Restaurant Awards. Winner of 'Best Overall Restaurant'. We open our long-awaited second restaurant in Headingley. Yorkshire Evening Post Restaurant Awards. Nominated for 'Best Restaurant'. Featured in Harden's Restaurant Guide. On 27th April 2002, the very first Sukhothai opened its doors in Chapel Allerton.